Google has been working on a new search infrastructure and you can now test it if you visit www2.sandbox.google.com. Don't expect new features or better search results, but if you find something interesting, post it in the comments. "It's the first step in a process that will let us push the envelope on size, indexing speed, accuracy, comprehensiveness and other dimensions. The new infrastructure sits "under the hood" of Google's search engine, which means that most users won't notice a difference in search results," mentions the Google Webmaster Blog. This is the first time when Google invites users to preview a new version of its search engine, so the "invisible" changes must be significant. From my first searches, I've noticed that the results are returned twice faster and they're more recent, especially if your query is related to some recent events (e.g. 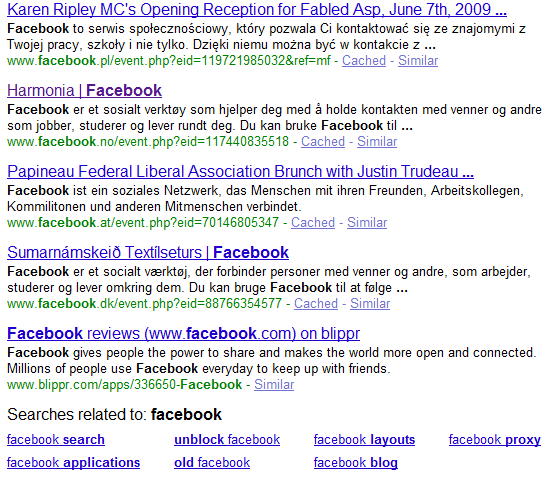 : searching for FriendFeed - old Google vs new Google). Many results are irrelevant, but they're displayed mostly because they're pages from official domains: a search for Facebook returns a lot of irrelevant events from Facebook's international domains. Google's new infrastructure doesn't deal well with proxies and redirects, so you'll see many weird results like the ones returned if you search for [google blog]. Matt Cutts says that the new infrastructure is code-named Caffeine, "the update is primarily under the hood" and you can share your feedback by clicking on "Dissatisfied? Help us improve" at the bottom of the search results and mentioning "caffeine" in your message. Test Google Caffeine at: www2.sandbox.google.com. It is slightly fast, but I could only see slight improvements. I don't want something new i am happy with your new version. Yes it is slightly fast than the older one and shows the results quickly. My dyamic websites are shown easily and faster. Great waiting to see it through successfully. It's only faster becuse hardly anyone will be using it! Actually I found it a bit disappointing when my website was nowhere near the firts page for a selected keyword. Does this system use an old database or would it be like that in the future once it is all implemented to the current system? It's actually live at google.com.